This is one good barbecue sauce. It wasn’t very pleasant yesterday here in Nova Scotia but the weather is warm now and summer is on its way. It may (or may not) be sunny this weekend, but we may as well prepare. That means making your own mustards (search this blog), ketchup, relish and barbecue sauce. There’s one recipe I’ll be making and posting here in the near future, chipotle ketchup, but this barbecue sauce will have to do for now. It keeps in the refrigerator for weeks if well sealed. 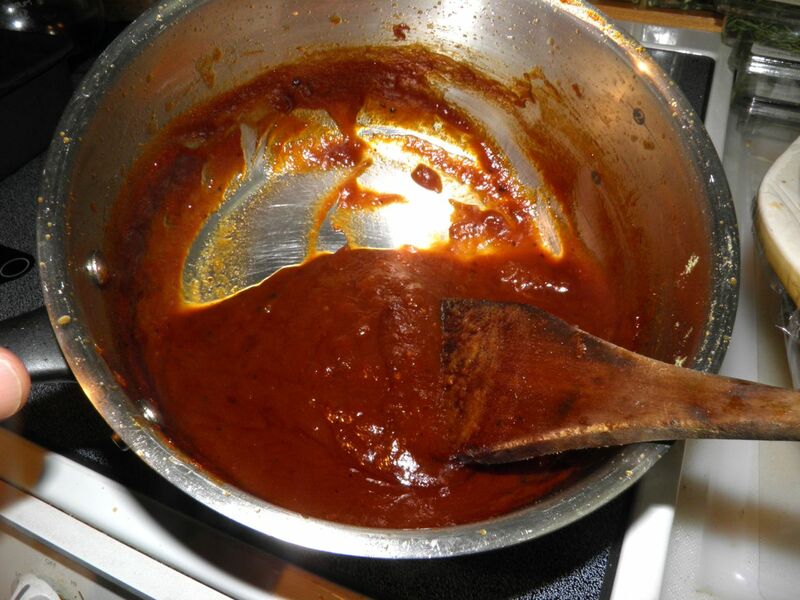 Making your own barbecue sauce can be a tricky business. It needs to be thick so it doesn’t get watery, and flavourful. That’s one thing I find lacking in many of the store-bought sauces – good flavour. But there’s always been a taste that I wanted to incorporate but just couldn’t seem to. That flavour? Smoke. 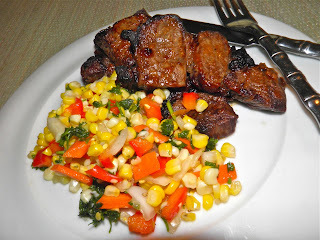 It’s the quintessential taste of barbecue – that deep, sort of sweet flavour that permeates your barbecued goodies and makes them so delicious. To incorporate that flavour you usually have to actually use wood chips to smoulder on your coals. There are many different types of liquid smoke, depending on the wood used to make it. I used hickory, the same as the picture above, but my brand was different. This is what the sauce looks like at the start of simmering. Liquid smoke sounds like something out of a bad 1950s lab, but it actually has been in existence for over 110 years. It all started with a man called Ernest H. Wright who began bottling and selling a product called “condensed smoke” way back in 1895. This barbecue sauce is a “must have” and I say that with no puffed-up sense of pride. It’s very simple, deep tasting and delicious. To me this tastes like what I believe barbecue sauce should be. It doesn’t even need a barbecue to have that outdoor flavour. Broiling works every bit as well. For a great accompaniment look here. It's a three bean salad that even people who usually dislike it can get enough of. that would go perfectly with this. Do a blog search. Heat the oil in a medium sized saucepan. Saute the onion until slightly browned. Add the remaining ingredients. Bring the mixture to a boil and then let simmer for 45 minutes. Stir occasionally to avoid it sticking. 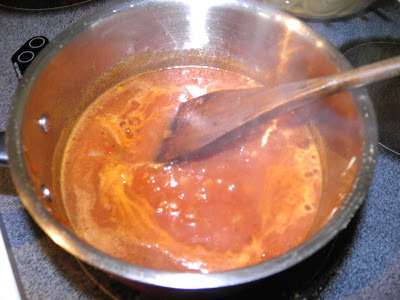 The sauce will become very thick and darken in colour considerably.